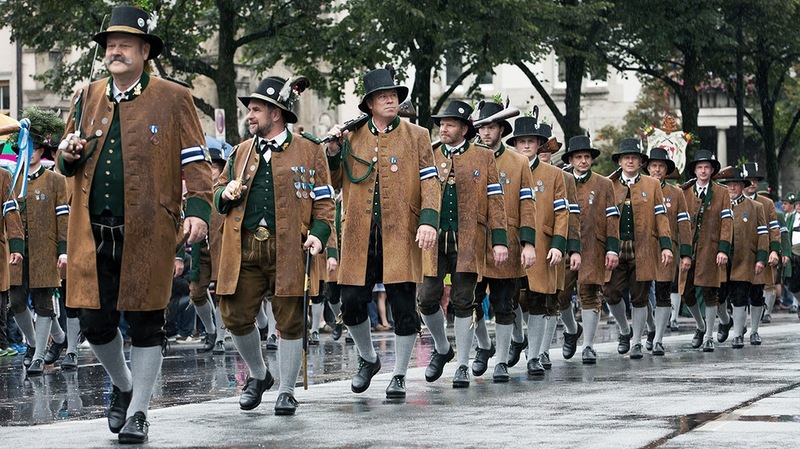 We have prepared a list of 10 facts so that you can really get to know Oktoberfest. “Wuuuuhat? Contrary to popular belief, Oktoberfest is not a beer festival, but the anniversary celebration of the wedding between Bavarian Crown Prince Ludwig and his wife, Princess Therese of Saxony-Hildburghausen. When the love birds hitched in 1810, the royals commemorated the event with a public party where not a single drop of the liquid gold was spilled! It wasn’t until 1819 that the horse races were replaced by beer vendors. It’s named after the Theresienwiese, which is the name of the land where it takes place, and it’s also named after Therese, the Princess that was married there. It’s pronounced as “Vizen”. 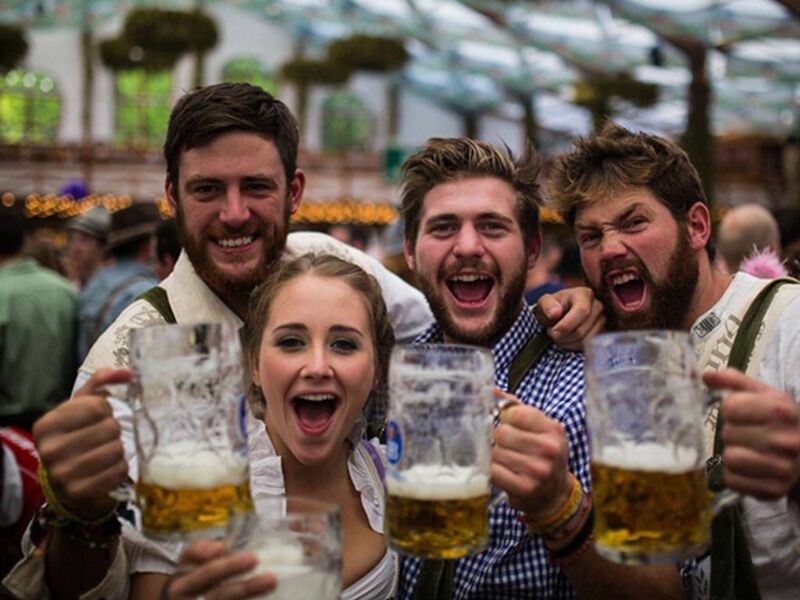 Music is a very important factor in the celebrations, with every alcohol tent featuring brass bands playing a mix of reworked chart hits from the likes of the Black Eyed Peas alongside traditional German Oompah classics. If a song and dance isn’t your thing, you can head for the Armbrustschützenzelt tent. 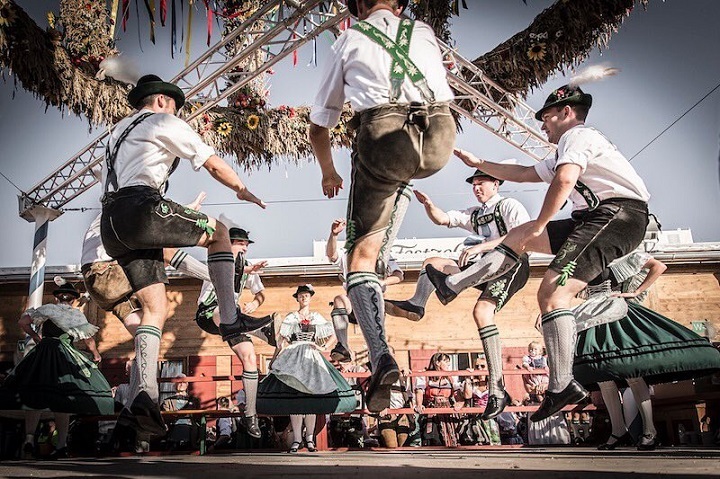 A popular pavilion for locals and internationals alike, you can spend your time inside drinking Paulaner brewhouse’s Oktoberfestbier, devouring a succulent knuckle of pork and practicing your bow and arrow skills in the annual crossbow competition. Oktoberfest is, above all, a celebration of Bavarian traditions, so the only beer you’ll find during the festival is brewed within the city limits of Munich. Only beers that fit this criteria are considered Oktoberfest Beers. One mug of beer here is equivalent to 8 shots of Schnapps. They’re specially brewed for the festival and they have at least 6% alcohol. 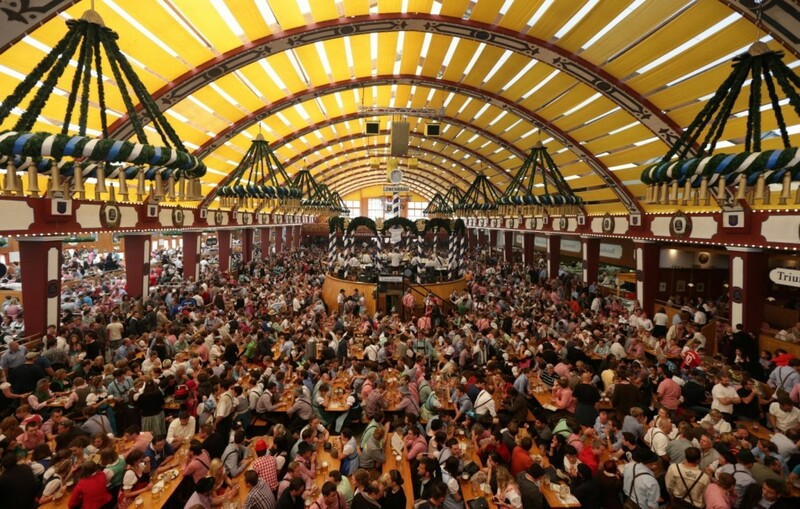 If you're wondering how much beer is consumed by the 6 million people that go to Oktoberfest each year --it's a lot. To be precise, it's 1.8 million gallons of beer. Each year, over 4,000 items end up in the Oktoberfest lost and found. The weirdest item was a set of dentures. 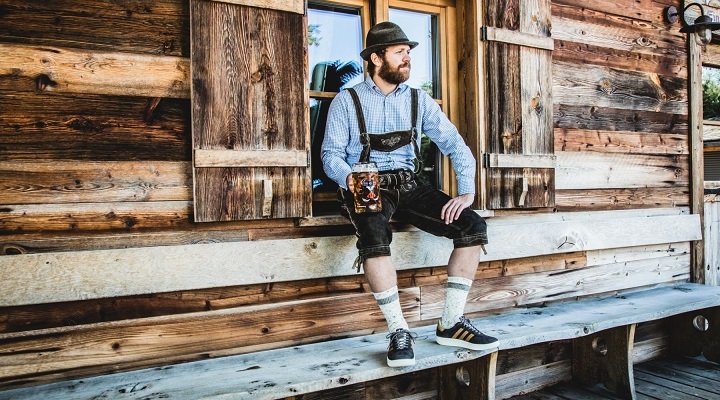 With so much beer being consumed it’s obvious that some people might feel sick and end up puking… And that’s why Adidas recently released a limited edition of vomit-proof sneakers inspired by the Oktoberfest. While drinkers as young as 14 can join the party if accompanied by an adult, the security are known for their no-nonsense approach to safeguarding the celebration. A selection of handsy over-drinkers are banned each year, but top of the notoriety list is the hotel heiress. Dressed in her skimpiest Bavarian ‘dirndl’ (the traditional Oktoberfest dress), the American socialite showed up to the 2006 to promote a brand of canned wine, without any sort of prior arrangement with the Oktoberfest organizers. After some sizeable and intoxicated public outrage, Paris was banished from ever returning to the party.